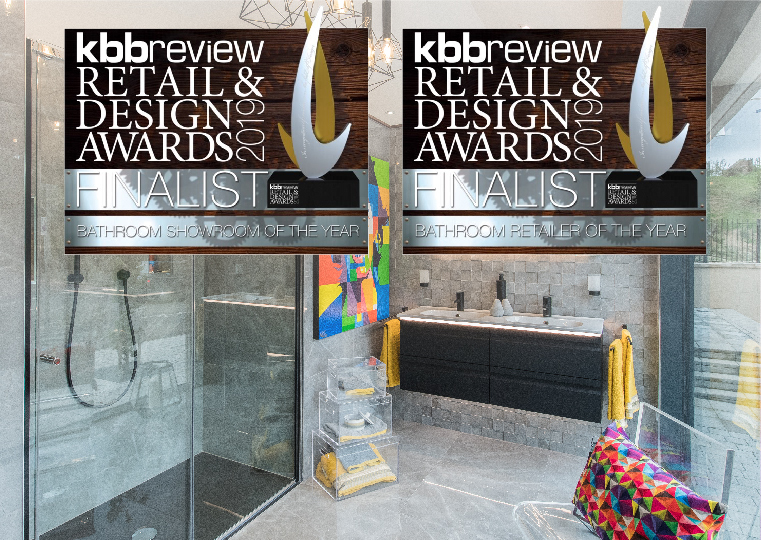 We are delighted to announce that we have been shortlisted as Finalists for two awards at the prestigious kbbreview Retail & Design awards. Our Perth Showroom has been nominated for Bathroom Retailer of the Year and our stunning Edinburgh Showroom is finalist for Bathroom Showroom of the Year. The kbbreview awards celebrate and acknowledge the very best in retail, design and manufacturing within the kitchen and bathroom industry. Our Edinburgh showroom won Bathroom Showroom of the Year 2018. The Bathroom Showroom of the Year award recognises, among other things, the fantastic range of displays and product choices that we have on offer, our unique bathroom design & inspiration, as well as our overall customer experience. It is testament to our unique showroom design and layout that we have been shortlisted as finalists for two years in a row. Since winning Showroom of the Year, we have continued to improve the showroom, to further enhance our customers experience. Angus Kerr, Director commented, “I am very proud of our Edinburgh showroom and what we have achieved in a relatively short period of time. We have created an inspirational setting where customers can be guided throughout the showroom depending on their unique tastes and budget. All of our displays are fully functional which further enhances our customers journey with us”. The Bathroom Company brand is renowned for quality across Scotland. Lawrence Haddow, Managing Director said, “It is amazing to be finalists for two awards this year, our team is thrilled to have made the cut in two different categories. We know our customers appreciate our in-depth product knowledge and stunning showrooms”. The Bathroom Company has shown continued growth despite the challenging retail environment. In particular we are excited to bring our new kitchen brand, Kitchens2 to our Perth showroom in the next few months and we hope to announce some exciting events to support this soon. The kbbreview awards take place at the Victoria Warehouse in Manchester on the 4th April 2019. We are looking forward to another fantastic evening and fingers crossed we may just come home with another kbbreview award to add to our collection.